Casper Vs. Puffy Mattress Comparison - How Do You Choose? Home » Casper Vs. 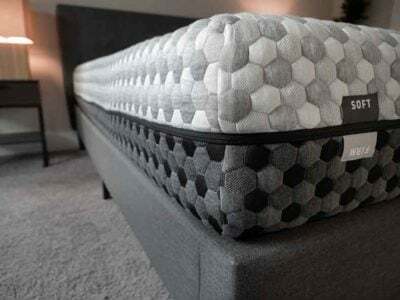 Puffy Mattress Comparison – How Do You Choose? Casper Vs. Puffy Mattress Comparison – How Do You Choose? If you are a fan of foam mattresses, you might have narrowed your search down to the Casper and Puffy. These are both popular all-foam mattresses, so you might be having some trouble deciding between the two. To assist you in the mattress-buying process, I have all the information you need. After we take a closer look at the Casper mattress and Puffy mattress, your decision should be an easy one. Will the Casper or Puffy be the mattress for you? Read on for my full comparison. They have similar thicknesses and base layers. 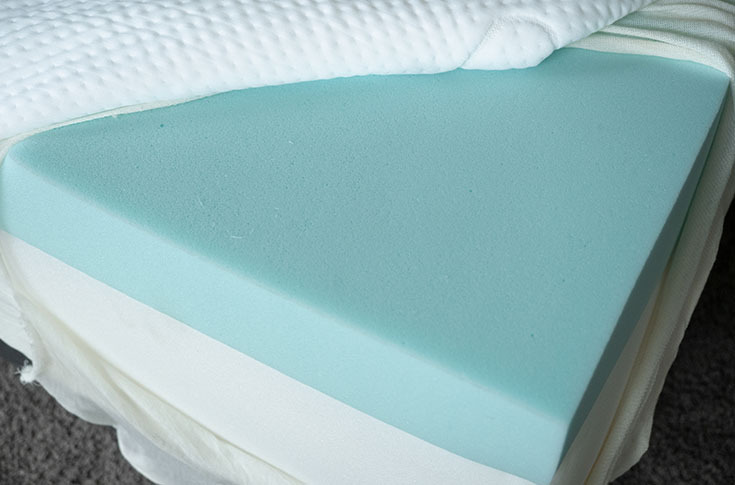 Both mattresses incorporate memory foam into their construction. 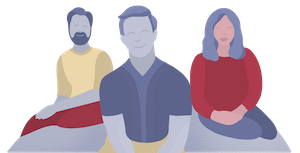 Click here to get the best available discount on Casper. Their materials and constructions are quite different. The Casper has a zoned construction, while the Puffy does not. Overall, the Casper is softer than the Puffy. The Casper has a balanced foam feel, while the Puffy has a classic memory foam feel. The cover is soft, cool, and thin. The thin cover allows you to easily feel the soft upper layers of the mattress. The first layer of the Casper is 1.5” of a latex-like foam. Below this is 1.5” of memory foam. This has that slow-sinking feel to it. It helps with pressure relief. The next layer is 1.5” of a zoned transition foam. This moves you from the soft upper layers to the support layers beneath. The base layer is 5” of a durable support foam. 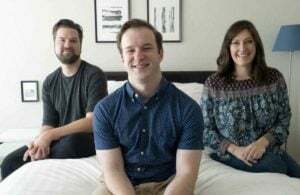 To learn more about the Casper, read our full Casper mattress review. The Puffy is 10″ tall. The comfort layer is 4” of a gel memory foam. The base layer is 6” of polyfoam. 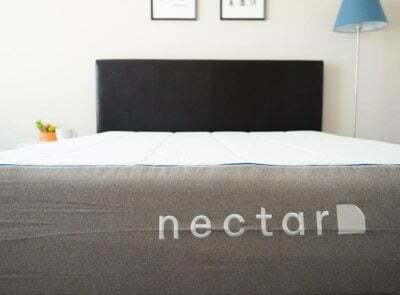 To learn more about the Puffy, read our full Puffy mattress review. The Puffy has a simple construction. Its top layer is 4” of soft memory foam. This should allow you to sink in and sleep more “in” the mattress (rather than on top of it). 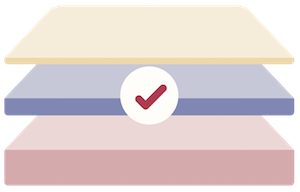 The Casper has a zoned transition layer. This means it is firmer under your hips and softer around your shoulders. Because of this, it could be a great match for multiple sleeping positions. It will be firm enough to support you when you are on your back and stomach, but you should still feel good pressure relief when you are on your side. The firmness of the Puffy really has to do with your weight. Heavier sleepers may press into the mattress and engage the firm support layers. The mattress will feel firmer in this case than it will to a lighter-weight sleeper who might not press in as far. The Casper should be more breathable than the Puffy. The Puffy has a thick layer of memory foam on top, which can trap heat. The Casper’s top layer is open-celled, so it should dissipate heat. You should be sleeping cooler on the Casper. In my experience, the Casper is a 6/10 in terms of firmness. The Puffy feels like a 6.5/10. Note that I weigh 160 lb. Larger sleepers might find the Puffy feels firmer as they press through the soft upper layers and engage the support layers beneath. On the other hand, lighter-weight people may think the Puffy is softer. Back sleeping on the Casper, I feel very well supported. The zoned construction ensures my hips don’t sink in too far. When I am on my side, I feel comfortable. The shoulder area of the mattress is softer, so I don’t feel too much pressure there. On my stomach, the firmer center area supports my hips. I feel decently supported when I am on my back. The memory foam conforms to the shape of my body, and I don’t feel like my hips are sinking in too far. However, I will say the lumbar and back support is far superior on the zoned Casper mattress. When I am side sleeping, the Puffy feels the most comfortable. I sink into that soft memory foam and feel almost no pressure on my shoulders and hips. I think that most light- to medium-weight side sleepers will agree the Puffy features better pressure relief. Again, heavier people may press further into the mattress and have a different experience. The Casper has a balanced foam feel overall. The top latex-like foam layer is soft but responsive. Also, the transition layer keeps me from sinking in too far. I get some of that foam feel without getting “stuck” in the mattress. There is also a bit of bounce, so it is quite easy to move around on the Casper. 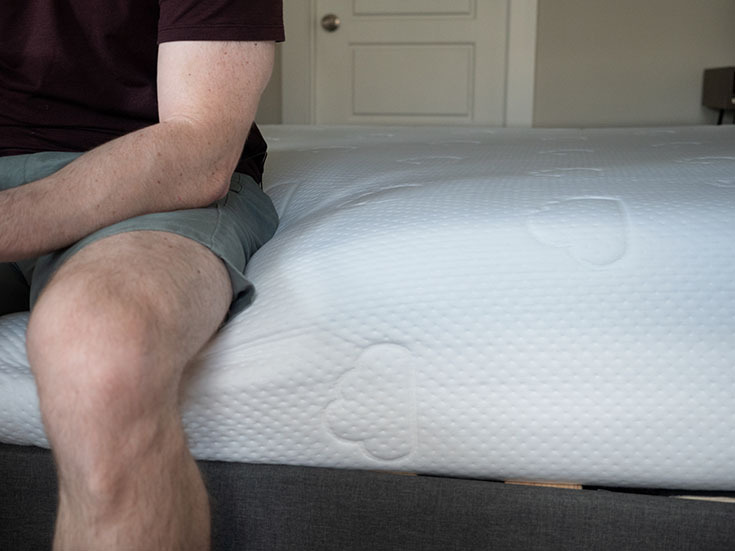 The Puffy has more of that classic memory foam feel. I slowly sink into the mattress and feel it envelop me. There is very little bounce, and it can be difficult to move around on the Puffy. In the end, I sleep on top of the Casper and inside the Puffy. See more about Casper’s balanced foam feel in the video below. Compare this to the quicksand feel of the Puffy mattress. While both of these mattresses have memory foam in their design, the Puffy has one thick layer right on top. It is because of this that the Puffy handles motion transfer better than the Casper. During my tests, I placed a glass on the Puffy and pressed into the surrounding area. The glass was barely disturbed. Also, when Marten moved around on the other side of the mattress, I could not feel his motion on my side of the mattress. If you sleep with a partner, you shouldn’t feel their movements transfer over to your side of the mattress. Between the two mattresses, the Puffy should be the better mattress for couples. See how the Casper handles motion transfer. Now see how the Puffy’s thick comfort layer cuts down on motion transfer. Overall, the Casper features better edge support than the Puffy. While the Casper feels softer to me, it is still the more supportive mattress. 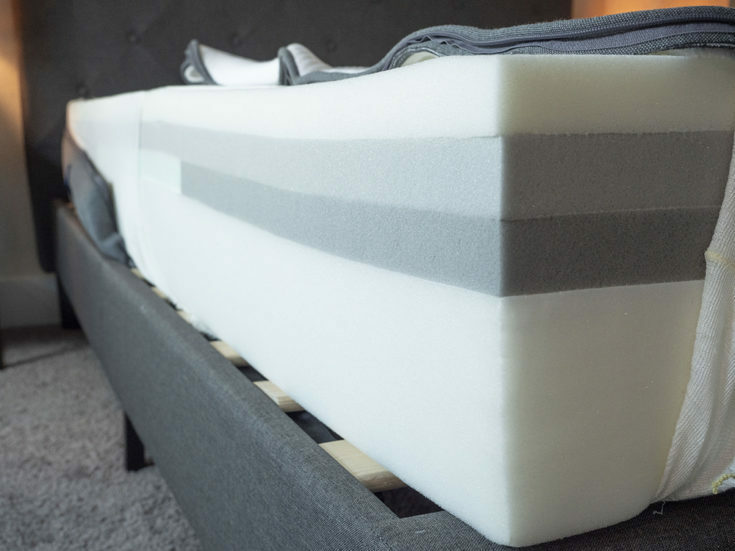 The zoned construction and multiple layers of foam ensure the mattress doesn’t collapse too much when I sit near the edge. On the Puffy, the mattress collapses quite a bit when I sit in the same position. Lying down near the edge of the Casper, I feel secure and don’t feel like I am going to roll off. Lying near the edge of the Puffy, I do feel like I might be ejected from the mattress. You can see the differences in edge support in the photos below. For me, the Casper was a 7/10 and the Puffy was a 7.5 or 8/10. My experience was definitely due to my size. Often, with foam mattresses, I will press in more than Joe does, so they will feel firmer to me. I think this is why the Puffy feels firmer to me than it did to Joe. Over on the Casper, you have a zoned construction. Because of that, I feel very good support on my back. My hips don’t sink in too far, because that area is the firmest part of the mattress. When I am on my side, I am feeling some firmness on my shoulders and hips, but less than I feel on the Puffy. On my stomach, I feel well supported. The Puffy does not have a zoned construction. While I feel decent support when I am on my back, I am not as supported as I was on the Casper. When I’m on my side, I’m pressing too far into the mattress and feeling some serious pressure on my shoulders and hips. On my stomach, the mattress is not firm enough, so I am bowing in at the hips. Overall, if you are a heavier-weight sleeper, I would lean toward the Casper. Marten’s experiences make sense to me. He is larger, so he pressed through the soft top layer of the Puffy. He hit the firm support layer, so when he was side sleeping, he felt pressure on his shoulders and hips. 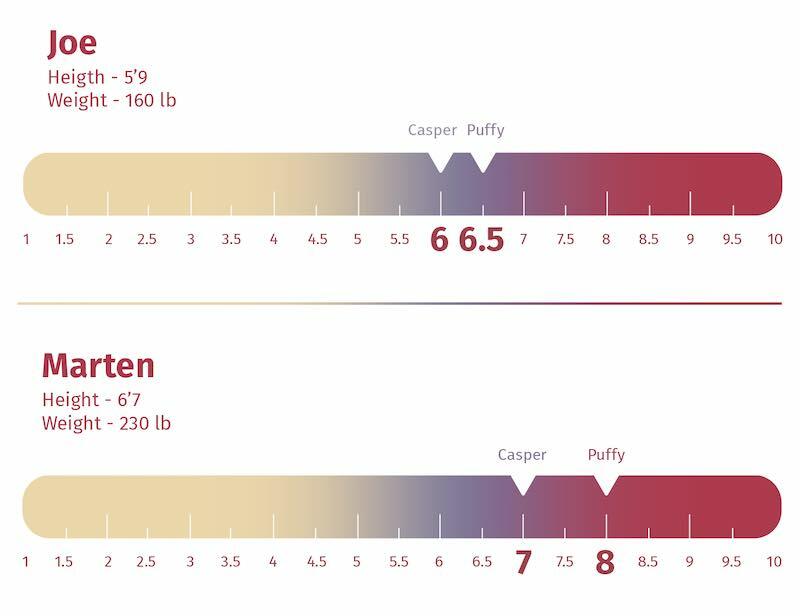 I agree that heavier people like Marten should consider the Casper over the Puffy. You are a combination sleeper. The Casper should definitely be the more supportive of these two mattresses. It has a zoned construction that should keep your hips from sinking in too far, so if you sleep on your back or stomach, you should stay in better alignment on the Casper. At the same time, the shoulder area is soft, so you should feel good pressure relief when you are on your side. You prefer a balanced foam feel. 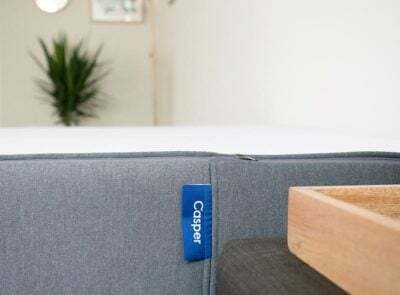 If you like a foam feel but don’t want to get “stuck” in your mattress, the Casper should be the better choice. The transition layer and zoned construction ensure you don’t sink in too far, so it should be easier to move around. You like a classic foam feel. If you like to sink into your mattress and feel enveloped, the Puffy is the way to go. It has that slow, quicksand memory foam feel. You are a light- or medium-weight side sleeper. As long as you aren’t too heavy, you should feel great pressure relief on the Puffy. You should sink in and feel little pressure on your shoulders and hips. Side sleepers who are lighter should feel very comfortable. Even though these are both all-foam mattresses, they are designed for different types of sleepers. If you are a back or stomach sleeper or are on the heavier side, the Casper is a clear choice. 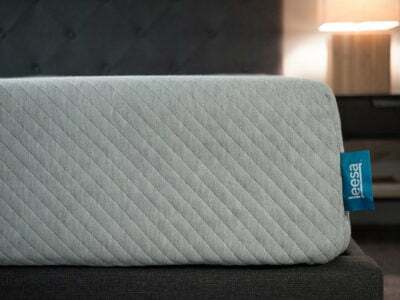 If you are a light- or medium-weight side sleeper and like memory foam, the Puffy should work for you. Please leave any specific comments or questions about the Casper or the Puffy in the comment section below.